Are you looking for the best LinkedIn profile writing service? In a world where technology is constantly evolving aspiring professionals have to keep up or lose their place in the race. In other words, a good CV and resume aren’t enough anymore. You need an impeccable LinkedIn profile that hits the bulls-eye, or you might miss out on some awesome opportunities! If you don’t know how to achieve that, do not despair – we offer an insight into what the best LinkedIn profile writing service might be. Long ago, it used to be enough to have a neatly written CV to get a job. Likewise, employers only knew that information you chose to disclose on that one piece of paper. But, wasn’t that the proverbial double-edged sword? If you are wondering how to achieve all that, the solution is actually around the corner, so to speak. You can hire professional LinkedIn profile writers. Don’t panic, just keep reading. Remember, information is power. In the modern world of social media and fast information exchange, potential employers have a much better insight into who you are, not only as an employee but as a person as well. In fact, they will check your Facebook, your Twitter or Instagram and form an opinion on just a few glances. You gotta love the magic of social networking. It seems like it was only a matter of time before someone thought of exploiting the social media for their own professional gain. Wouldn’t it be nice if someone snooping through your profiles actually got some data about your academic and professional background, and not just who your friends are and what you did last Friday night? And, thus, the LinkedIn network was born! Well… not really. It was founded much before that, but, when the wave that is social media hit the modern public, it became even more popular and practically a necessary tool in the job market. Today, LinkedIn is a network that has over 400 million members in more than 200 countries. Bottom line? Like it or not, you need it. In fact, you probably have it already. But, are you using it right? Does it look like as it should? Can it be better? Don’t think we are being overly dramatic when we say that a LinkedIn profile can make or break your career development. It’s actually the opposite. In this day and age, technology is taking over and you need to know how to use it to your advantage. Maybe you don’t fashion yourself a professional LinkedIn profile writer. Maybe you think of yourself as an average Joe who has done an adequate job when it comes to LinkedIn. But, either way – you can always do better! And, if you can’t, ask for help, because a good LinkedIn writing service can help you get that position that has always been just out of your reach. More on that later. In this competitive market, where getting your dream job is an uphill battle, any advantage you can get is crucial. In the same way you pay close attention and weigh every word you put in your CV, your resume or cover letter, a LinkedIn profile should get the same treatment. First of all, chances are high that you will get googled when applying for a job. It’s in your best interest that one of the first hits is your LinkedIn profile. That way the hiring manager will get all that information you wanted him/her to have. Above all, it’s important that you control the information output. Secondly, it will also lower the chance of them peeking into your other network profiles and maybe seeing something not so professional. Maybe some pictures or status updates you don’t necessarily want to share with your potential boss. Yeah, you know which ones. LinkedIn is an employment-oriented network that’s become irreplaceable. Nearly every industry uses this network to discover and audit potential candidates. More importantly, according to data from the Society of Human Resource Management, over 90% of recruiters rely on LinkedIn when hiring or headhunting. As impossible as it sounds, some HR person might be browsing through LinkedIn looking for you! Well, specifically, someone with your credentials, skills and overall usefulness. So, if you’re not there to be found – there goes that opportunity! To put it briefly, if they are there, you should be too! There is nothing better than word-of-mouth advertisement, right? In fact, it’s always better when others say nice things about us than when we do it ourselves. Your previous and current colleagues as well as bosses can give testimonials or recommendations on your LinkedIn profile. It provides an insight into what kind of a co-worker you are, and it actually gives you credibility. Above all, LinkedIn will help you do your research. LinkedIn lets you connect with other people and follow companies. This is another benefit because it allows you to stay updated. Also, if your dream company has some openings, LinkedIn is the place where you will find that out. Likewise, some companies show lists of their current and previous employees, which gives you insight into what they might be looking for. 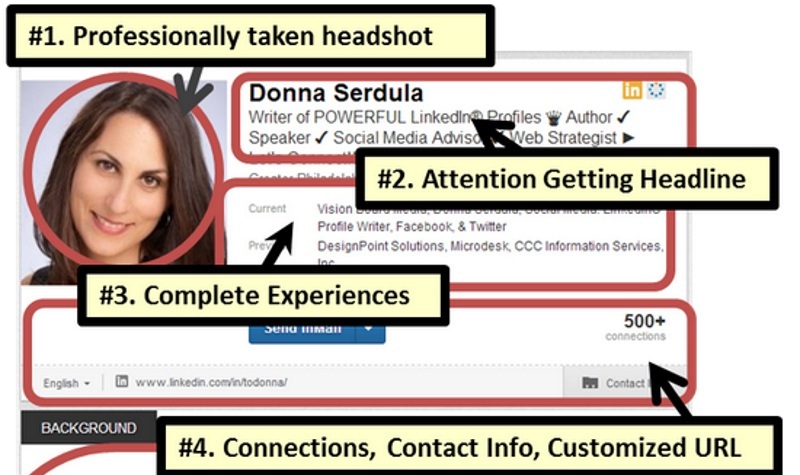 So, now you know you definitely need a LinkedIn profile, and it needs to be a good one. Before you start looking for the best LinkedIn profile writing service, find out what a fantastic LinkedIn profile should look like. Namely, what it should contain. Even if you aren’t making it yourself, you should know what to ask for when you hire a LinkedIn profile writer. A good LinkedIn profile writer will tell you that what you don’t write is probably just as important as what you do write on your profile. Finally, a LinkedIn profile is your online professional image and you need to take firm control over what it projects. Here are some of the traits of both good and bad LinkedIn profiles. Professional LinkedIn profile writers know all this by heart. Furthermore, LinkedIn profiles provide validation for employers and prove that you are who you say you are. So, it’s important that it paints the right picture. You want your profile to grab the attention of the hiring manager and say “I’m the one you’re looking for”. Everything on your profile tells them a little bit about yourself so it should all be tweaked to perfection. Otherwise it loses it’s purpose. Think about who your target audience is and what your current career goals are, and write about previous positions and achievements accordingly. In other words, you don’t have to include that three-month sales job if you want to be a professional nurse. A good LinkedIn profile should be a narrative about you instead of a chronological list of schools you’ve attended and jobs you’ve had. It should also never be incomplete, as that gives the impression of a short attention span. And nobody wants that employee, do they? Finally, as you know, a picture tells a thousand words, so, here are a couple of examples. This is how the first glance at an excellent LinkedIn profile looks like. It’s a profile of a founder of a LinkedIn profile writing service LinkedIn Makeover. We included it on our list. In contrast, here’s how your profile shouldn’t look. Not that there’s anything wrong with showing off your favorite movie, however, the profile picture of LinkedIn isn’t the right place for that. Also, leaving the profile unfinished seems unprofessional and makes you seen indifferent. Need a professional LinkedIn profile writer? If you don’t think that you could accomplish all we mentioned above, or that your LinkedIn profile just isn’t doing you justice and presenting the real you, either way, professional LinkedIn profile writing service is the answer. More importantly, a persuasive and impressive profile is within your reach. If you are having second thoughts and thinking about just winging it, then consider that the best investment is in yourself. By paying a professional LinkedIn profile writing service you are essentially funding the future of your career. Finally, here’s a list of the companies that employ the best professional LinkedIn profile writers. Among them, you’ll find the one for you. LinkedIn-makeover is a LinkedIn profile writing service that will help you tell your story and build your professional brand. Granted, you will have to pay a pretty penny for it. The company was founded by Donna Serdula, a sales mogul that started her company after realizing how much of an impact her LinkedIn profile makeover had on her career. This company recognizes the potential of the internet and, consequently, how important it is to utilize every asset available. One of those assets is the LinkedIn network, and Donna and her team of professional LinkedIn profile writers will assist you in shaping your online brand. However, this company only offers a LinkedIn writing service and a resume writing service, unlike many others that cater to other needs like cover letter or CV writing. Consequently, that could be a potential downfall, as people like to get all they need in one place, especially if they are paying so much. But, if you are only looking for a LinkedIn profile writing service, and are ready to pay a great deal of money, look no further. While Resumes Centre offers one of the cheapest deals available on the market it’s not really versatile. Their professional LinkedIn profile writers will help you make a profile that compliments your resume and increases your chances of getting recognized as an asset on the job market. They will not, however, do the entire thing instead of you. For a low price, this LinkedIn profile writing service offers to identify and highlight the skills that will make you more marketable. They offer a money-back guarantee, which provides a bit of security if you are on a budget but in need of help. Resume and CV writing, as well as cover and thank-you letter writing, is also available. Their professional LinkedIn profile writers all have experience in the fields of human resources, recruiting and personal development and understand what hiring managers are looking for. Resumes Centre has a pretty straight-forward service. As a matter of fact, they don’t promise too much, like making you into an impossibly desirable asset, but to aid you in your professional endeavors for a reasonable price. So, for an affordable price, you have to sacrifice some benefits. In this case, nobody is going to do your work for you, but rather help you pinpoint what it is you are supposed to write in your LinkedIn profile. Finally, this is an excellent option for those who just need a little guidance and suggestions. But, as the service is not as thorough as some other companies offer, we had to rank them low despite the tempting price. City CV is a pricey LinkedIn profile writing service from the UK. Although at the higher end of the price scale, we included them on the list because they offer a unique and very structured editing process. They use branding strategies to make sure that your LinkedIn profile is strong, clear and keyword-optimized. This company also offers a somewhat fast turnaround of 5 to 7 days and an open line of communication between the client and the writer. The quite high prices vary depending on how much professional experience you have and whether or not you are a repeat customer. So, if you are, for example, a young professional with less than 5 years of experience, your LinkedIn profile will cost between $280 and $385, depending on whether you are using their services for the first time or not. Alternatively, they offer a wide range of job-related services. Also, as a nice bonus, on the company’s website, you can get a clear overview of who their writers are, what are their qualifications and experience. Furthermore, you can read their biographies and choose who you want to work with. For some people that is a plus because they like to put a face to the name. One of the more specialized companies on our list, LinkedIn Profile Service offer a keyword optimized profile that will increase your visibility and strengthen your online brand. Furthermore, they will dust off your old LinkedIn profile or write you a new one from scratch. And all that in 2 to 4 business days. This Washington D.C. founded company offers over 35 features such as picture and headline optimization and they have one of the best LinkedIn profile writing services. LinkedIn Profile Service has established themselves as leaders in the newly growing industry of professional LinkedIn profile writers in just 10 years. A profile done by this company might stretch your budget a bit, as the price starts at $299. Like many other companies, LinkedIn Profile Service offer some excellent combo options that are real money-savers. If you are young, at the start of your career and on the look-out for a perfect job, you might consider investing a bit in a good LinkedIn profile. With a lot of satisfied customers, the success of this company is undeniable. Even so, they are pricey. But, cheap isn’t always the best option, and that is something to keep in mind when making career-related decisions. Therefore investing a bit more might pay out in the long-haul. This New York-based company offers to improve your online presence namely by creating an impactful LinkedIn profile and a strong online presence. With the help of their professional LinkedIn profile writers, you will attract notice and generate interest in the job market. Resume Writers is not only one of the best LinkedIn writing service but it can also provide you with anything else job-search related. So, if you need something else, you can probably get a combo option, and pay less. Not to mention that Resume Writers was named the top-rated resume and LinkedIn profile writing service in 2017. Moreover, their writers are experienced in over 70 industry specialties, so your profile is in good hands. The Australian company founded in 2002. 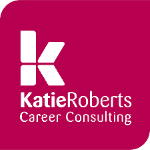 Katie Roberts has served over 10,000 satisfied customers including people from many professions. They will expertly boost your online presence and optimize your LinkedIn profile. However, making you stand out from a crowd will cost you as the prices at this company are on the higher end. This LinkedIn profile writing service will charge you $382 for a phone or Skype consultation and $460 for a face-to-face meeting. Because of their extensive variety of services they are an alluring option for customers who might be looking into purchasing more than one option. Otherwise, for people who just want their LinkedIn profiles written by professional LinkedIn profile writers, this company might not be so attractive due to a higher price. Resume Writing Lab offers the key to your professional success – an optimized LinkedIn profile done by experts in your field. A keyword optimized one, that is. A properly written profile will indeed increase your visibility in the job market. Overall, this LinkedIn profile writing service will craft your exclusive story and polish it so it catches the attention of the right people. There is no variation in price or different packages, so, no matter what your professional status is, Resume Writing Lab will write your LinkedIn profile for $89. Additionaly, any kind of resume you need – they offer it. So, if you need more than a LinkedIn profile, you can get it here. While the price is above-board, this LinkedIn writing service doesn’t offer much transparency when it comes to who writes your profile. They also don’t have a quick turnaround as they like to do thorough research. That is, certainly, a big plus and, combined with a relatively low price, places them smack in the middle of our list. Top Resume offers some professional tips and suggestions on how to make your LinkedIn profile stronger and especially alluring. Not the best LinkedIn profile writing service there is, but close, and pretty fast-growing, considering they’ve only been in business for a couple of years. But, even so, Top Resume are taking the internet by storm. For a constant price of $125, they will transform your LinkedIn profile into a distinct tool that catches the recruiter’s attention. Likewise, this LinkedIn profile writing service will provide you with a prominent online presence and help you widen your professional network, thus increasing the number of potential opportunities presented to you. Inviting you to invest in your career, Top Resume also offers a wide range of services. In addition to LinkedIn profile writing service, you can get a new resume, CV or a cover letter. They also offer advice on how to “survive and thrive” in your career. This company includes all the help you could possibly need in the adventure of job hunting, and that is what makes them as favored as they are. Close to the top of our list are Li Profile Writers.The main purpose of this company is specifically LinkedIn writing service. They pride themselves in applying subtle tactics when forming your profile that increases visibility and engagement. They also create “living” profiles, that evolve along with you and that will always show your biggest strengths. Above all, they are all about that stunning content that will catch the eye of the right people. Additionally, there is a special discount package that offers a resume with your LinkedIn profile. This LinkedIn writing service will help you implement the right image and a clear goal in your LinkedIn profile. Their professional LinkedIn profile writers will work with you one-on-one to create your personal story and will not rest until you are satisfied. 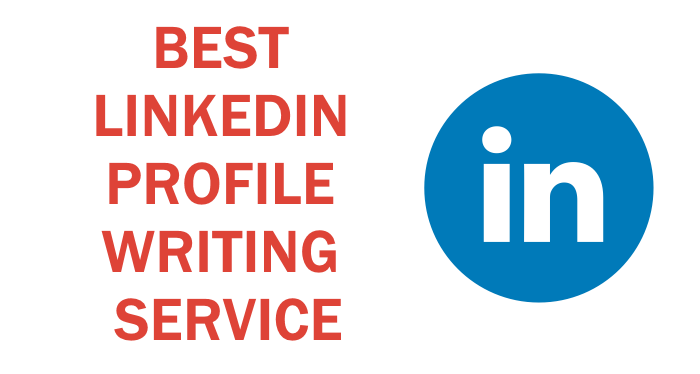 Their wide range of specialized services at very affordable prices ranks them near the top of our list and makes them nearly the best LinkedIn profile writing service. And finally, the best LinkedIn profile writing service and the cheapest option available on our list is the London-based company CV Centre. It is a very good combination of high-quality performance and low price. One of the most popular companies in the UK, CV Centre offers a couple of options when it comes to managing your online presence. Interestingly, CV centre is the only company that offers this kind of service. Bringing your online presence to perfection includes your entire presence, not just LinkedIn, and they capitalize on that fact. Well, to be honest, they don’t capitalize that much. The prices are very affordable. You will get a LinkedIn profile for under fifty bucks, which is fantastic. The LinkedIn profile – social scrub option is the most expensive, and it will cost you $189. They also offer CVs, resumes, cover letter, interview coaching and career counseling. For a remarkably low price, CV Centre will make sure that your online brand is squeaky-clean and that your LinkedIn profile tells an alluring summary of who you are as a worker and a person. As a result, it has conquerd the top of our list.